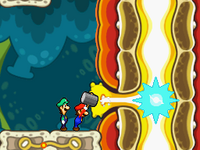 The Funny Bone is a small area in Bowser's body found in Mario & Luigi: Bowser's Inside Story. 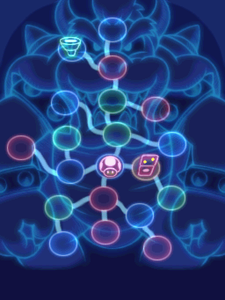 It is shown to be located in Bowser's liver. 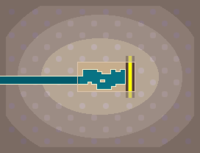 Mario, Luigi, and Starlow go to this area and discover a large, yellow Nubbin at the end. Mario and Luigi hit the nubbin, which awakens Bowser from his knocked-out state. This page was last edited on February 25, 2018, at 17:25.